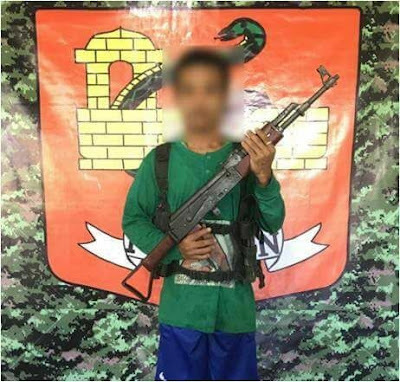 PLACER, Surigao del Norte – A member of the Communist Party of the Philippines - New Peoples Army terrorist (CNT) voluntarily surrendered to the 30th Infantry Battalion (30IB) on Saturday 3:00 AM, May 19, 2018, at Headquarters 30IB, Barangay Sta Cruz, Placer, Surigao del Norte. 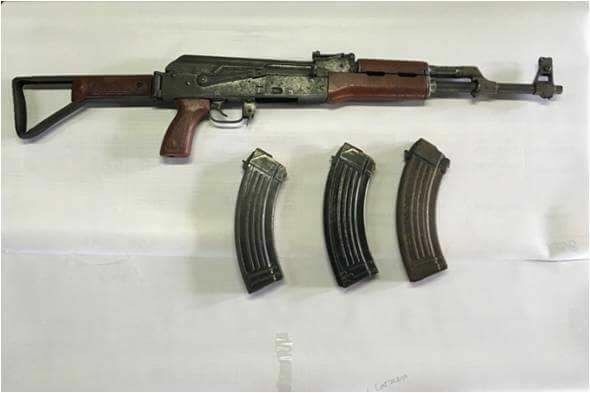 The surrenderee was identified as Jesson Platil Sumalinog also known as (AKA) Bong or Hyson, 24 y/o male, a resident of Sitio Brazil, Barangay Mat-I, Surigao City, Surigao del Norte. He brought along his AK47 rifle with three (3) magazines loaded with eighty-one (81) ammunition. Sumalinog said that he was operating in the municipalities of San Francisco, Malimono, Mainit and Surigao City, all of Surigao del Norte. “Perti kalisud akong nasinatian sa kalihukan. Ang kagutom ug kagustuhan makauban akong pamilya ang rason nga nisurrender ko. (I can no longer take the hardship I had experienced in the life of being a member of the NPA. The hunger and desire to be with my family are the reasons why I decided to surrender)” Sumalinog said. Sumalinog disclosed that he had conversations with some of the wounded NPA members involved during the encounter at Barangay Can-aga, Malimono last May 5. He further revealed that several NPA members are having second thoughts in continuing the armed struggle because of same difficulties they have been experiencing. 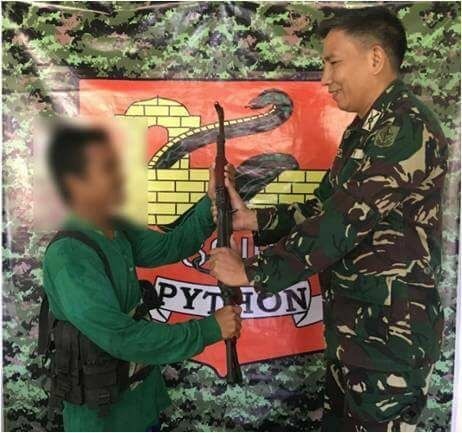 Lieutenant Colonel Allen Raymund Tomas, Commanding Officer of 30IB call on the leadership of the CNTs in Surigao del Norte to give medical attention to their wounded comrades from the encounter last May 5. “Wounded NPAs have a right to be treated in a proper medical facility. The leadership of Guerilla Front 16B should not let their wounded comrades be treated with their self-trained medical person in the mountains.” Tomas said. Government’s Comprehensive Local Integration Program (CLIP) states a former rebel can avail of the P15,000 immediate cash assistance and P50,000 livelihood assistance when they surrender. In addition, the surrendered firearms have an equivalent amount of money depending on the serviceability and caliber of the firearm. “To all active NPA members, I know that you want to go back to your families and live a normal life, it is not too late to abandon the CPP-NPA’s failed ideology. We will be assisting you with your application to the CLIP for you to start a life with your family.” Major General Ronald Villanueva, Commander of 4th Infantry Division said.